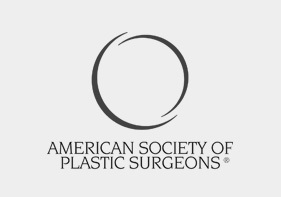 The surgeons at Star Plastic Surgery in Novi, Michigan are Board Certified in Plastic and Reconstructive Surgery and are credentialed to perform all cosmetic surgery procedures at the area’s leading hospitals. Our surgeons have completed training in general surgery as well as an additional residency or fellowship in Plastic and Reconstructive Surgery. Our mission is patient satisfaction by achieving the most successful surgical results. Virtually all surgeries are performed in the area’s leading hospitals or accredited surgical centers to ensure your safety and comfort. We provide a complimentary overnight stay with many procedures. 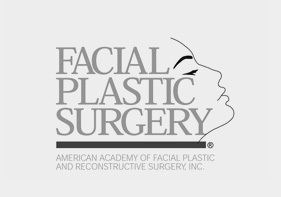 Star Plastic Surgeons are Board Certified in Plastic and Reconstructive Surgery. They are credentialed to perform all cosmetic surgery procedures at the area’s leading hospitals and surgical centers. Star Plastic Surgeons use safe, proven surgical techniques that provide a better surgical result for our patients. Virtually all our surgeries are performed in the area’s leading hospitals or accredited surgical centers to assure our patients’ safety and comfort. The philosophy of our practice is focused on the patient. We work one-on-one with you, both pre- and post-operatively to help you reach your goals. When you come to the Novi, Michigan office of Star Plastic Surgery, our board-certified breast surgeons take the time necessary to fully assess your entire frame. In this way, we can ensure your breast augmentation procedure produces a stunningly beautiful, natural look that compliments the frame of your body. At Star Plastic Surgery, our breast implant procedure involves using fiber optics technology to place your choice of silicone or saline implants under a protective sheet of muscles to properly support your implant; This minimizes the risk of complications and provides you with a worry-free, natural, youthful breast augmentation that should last a lifetime. The best way to determine candidacy for a breast lift is through a one-on-one consultation with one of our experienced plastic surgeons. When you come to our Novi, Michigan office for a breast lift consultation, we can help you determine if a breast lift will give you the look you desire. At Star Plastic Surgery, we never compromise patient safety. We offer only proven and safe liposuction techniques and will work with you to determine the best technique for your body type. 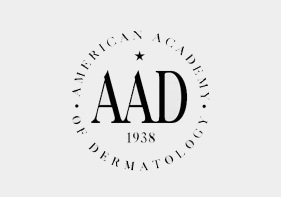 The technique best suited to your body will depend on the areas you want treated and the amount of fat that needs to be removed. 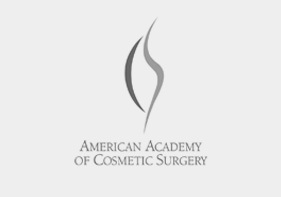 Part of the Star Plastic Surgery Advantage is that our board-certified plastic surgeons work with each patient on an individual basis and match the appropriate procedure to your particular needs. A Tummy Tuck removes excess fat and skin, and restores weakened or separated muscles. This creates an abdominal profile that is smoother and firmer and tightens the abdominal muscles. The Tummy Tuck procedure enhances your overall body image, improves your self-confidence, makes most stretch marks disappear and restores your youthful figure. Our surgeons use rows of buried tension stitching to connect the skin to the muscles. This maximizes tightness to the area virtually eliminating the need for drains and suction catheters which are the most common cause of discomfort and complications. Gynecomastia can be surgically treated by removing excess fat, glandular tissue and/or skin. The result is a better proportioned, more masculine, contoured upper body, and the freedom and self-confidence to lead an active life. 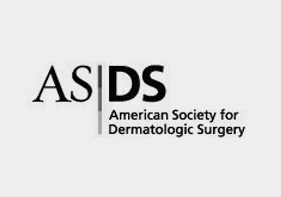 Elan Reisin, MD FACS is certified by the American Board of Plastic Surgery and is a member of the American Society of Plastic Surgeons (ASPS). He is also a member of the National Capitol Society of Plastic Surgeons. Dr. Reisin is a published medical authority and is published in Surgery of the Breast, a textbook on breast surgery techniques currently in use as an international training guide. An injector specialist and trainer, Dr. Reisin is often a featured speaker for physicians in the art of injecting Dysport and Restylane. Named the 1990 Top Hispanic High School Student in the United States for his academic achievements, Dr. Reisin received the Michigan Achievement Award. Dr. Reisin was also an accomplished high school soccer player who received an invitation to play for the WestPoint Academy along with several other universities. He chose, instead, to pursue an academic scholarship from the University of Michigan. Dr. Reisin completed his Bachelor of Science in Neuropsychology at the University of Michigan. After working as a Research Fellow in Genetics for the National Institute of Health, Dr. Elan Reisin decided to pursue a career in health care. He then completed a Master’s Degree in Medical Science at Wayne State University School of Medicine followed by his M.D. at the Wayne State University School of Medicine. Dr. Reisin trained in General Surgery at the prestigious Henry Ford Hospital in Detroit. He then completed his plastic surgery training at the Georgetown University Hospital. Dr. Reisin received training as Chief Resident in Plastic Surgery at the Georgetown University Medical Center. Dr. Reisin is trained in both cosmetic and reconstructive plastic surgery procedures. Dr. Reisin has successfully performed over 5000 cosmetic procedures over the course of his career. Dr. Reisin joined the Reisin Institute in Chevy Chase, Maryland in 2000 where he partnered with his father, Dr. Jorge Reisin, in creating a very successful cosmetic surgery practice. He has been recognized with the Patients’ Choice Award in 2008, 2009, 2010 and 2011. A caring and patient-focused surgeon, Dr. Reisin has also been awarded the Compassionate Doctor Award in both 2010 and 2011 and was recognized in the “Top Doctors” for the Washingtonian Magazine. We accept cash, checks or credit cards for payment or you may complete an application to finance your surgery. We also offer financing solutions for patients who would prefer to have their surgical procedure financed. We work with CareCredit, a credit card designed exclusively for medical procedures. With CareCredit, you can choose the financing option most suited to your needs including no down-payment, and interest-free plans. During your initial consultation, we can provide you with paperwork for CareCredit if that option is best for you. We also work with Chase Health Advance and Medical Financing as a financing option, should you desire. Location 44050 West Twelve Mile Rd.